Russians spent $414 million on real estate investment abroad in the first three months of this year, reveals new data from the country’s central bank. Data shows that Russian citizens are purchasing holiday homes in popular tourist destinations around the world. Igor Indriksons, a real estate investment manager and founder of the consulting portal Indriksons.ru claims the actual figure is likely to be much higher. “$414 million is an official figure that has gone through Russian banks. These are absurd figures. If you add another zero to the stated amount it will reflect the truth. 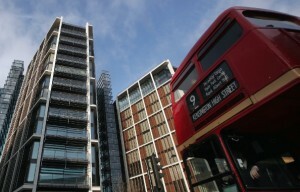 In 2010 alone, Russians invested $4 billion just in London real estate. And this statistic doesn’t include deals with offshore companies where you cannot trace investors,” Indriksons told The BRICS Post. Analysts believe the buoyant demand for foreign real estate is due to the rising price of property in Russia. A two bedroom sea-view apartment in Bulgaria costs around $40,000 while the same flat in Moscow will set you back least $200,000. “Bulgaria is number one with the amount of deals and prices are lower here. Spain comes second and is seen as one of the best resort investments, and then Germany with its stable economy. France and Montenegro are also very popular” Filipp Berezin, Editor in Chief of the Russian international real estate portal prian.ru told The BRICS Post. “The Czech Republic is a retreat for pensioners – especially Karlovy Vary – its city centre is almost completely populated by Russian speakers now,” added Berezin. However, Indriksons says Russians are leaving this trend behind as new market leaders have emerged. “Until 2008 Russians were playing a game “Buy everything you can”. At that time Russians were active in Bulgaria, Turkey and Spain. But after the crisis of 2008 they started to realise which real estate is liquid, which is not, they also understood that real estate should be profitable. “At the moment the most popular destinations are the UK, France and Germany. But unlike Turkey, for instance, they rarely reveal statistics,” Indriksons told The BRICS Post. Overseas real estate is an attractive prospect for those who prefer “basket investment” – investing money in various assets at home and abroad. “First of all, only those who have enough real estate at home, transfer their money abroad. They want to have something stable abroad in order to save at least something in case of emergency,” Indriksons added. Many Russians also see foreign property as a way to escape freezing winters in Russia. “In a Russian resort area, real estate is five to six times more expensive than in Turkey or in Spain. Another reason is a cheap mortgage system. “In Russia the average rate is 12-13 per cent, in the UK, Switzerland or Germany it is 2-3 per cent,” says Indriksons, adding that the number of those who are seeing real estate as an investment opportunity is on the rise. A number of Russians are also investing heavily in real estate in Latvia. Latvia passed a law in 2010 that allowed non-residents who purchased property in the country worth more than $183,000 to receive five-year residency permits for the European Union. “Russians account for the majority of the deals this law boosted,” says Berezin. However, not all Russian citizens can afford to buy property abroad. Despite property being cheaper in foreign countries the priority is to own real estate at home. “Medium-size and small business owners are the major buyers. After a businessman from a region becomes successful at the regional level, he seeks to take hold in Moscow – he purchases flats, townhouses in the capital. And only after that do they go abroad,” says Indriksons. The pattern of Russian domestic real estate buyers resembles the automobile market – most buyers live in Moscow and in Saint Petersburg. But some other cities are starting to make a mark as well, like Nizhny Novgorod, Yekaterinburg and Novosibirsk.